If style number is not known a detailed description will work. 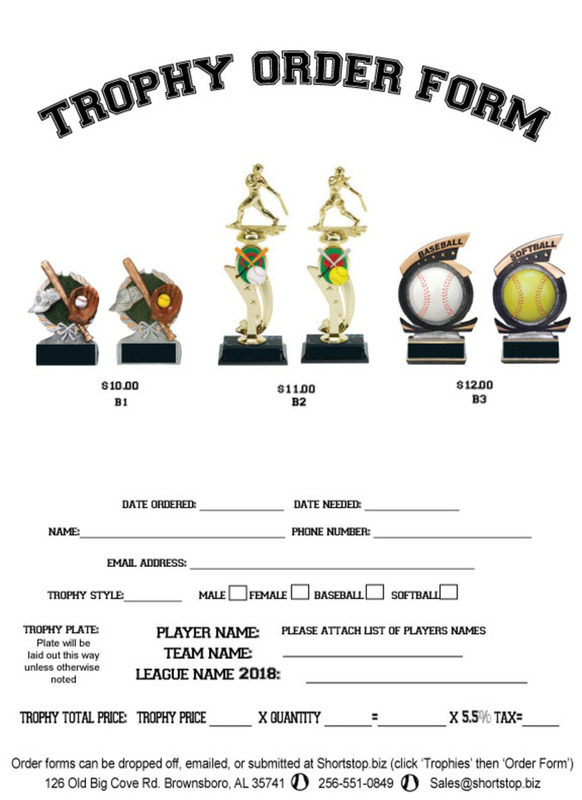 If you do not see a trophy for your team or organization provide a description of what you are looking for and we will find some options for you! Usually plates consist of: NAME, TEAM NAME, LEAGUE OR SEASON. Generally maximum size is 3 lines. Plaques or larger trophies may allow for more lines. 126 Old Big Cove Rd.